If you're like most people, you are a busy person. You may have a taxing schedule, kids or a hectic life, but you can still get fit. It can be tough, but there are some simple things you can do to be fit, and this article will help you learn some of them. Keep reading! 1. Get your diet in order. This is the most important thing you can do to be truly fit. Be sure you are eating a lot of leafy greens, as well as lean meats and fruits. Stay away from simple sugars, instead eating complex grains with a high level of fiber. 2. Drink a great deal of water. Most people don't drink enough water, but it is really important that you have eight to ten glasses a day. Water is in every cell in your body and it is important that your cells stay hydrated so that you can function properly. 3. Exercise three days a week, preferably with about a half hour of cardio each time. Cardiovascular exercise is great because it gets your heart pumping and helps with weight loss. Any kind of exercise multiple times a week helps you to feel and look more fit. 4. Don't buy food at work, but rather make it beforehand. This is a trap for a lot of people, so don't fall into it. If you buy your food when you're at work and it's time to eat, you are choosing food based on your morning, how you feel and what looks good. That can lead to food that is not so healthy for you. 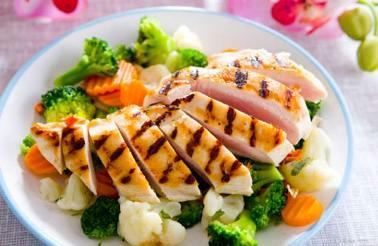 Instead, prepare your lunch beforehand when you are at home with your healthy food choices. Lunch will still be delicious, but it won't sabotage your other efforts. 5. Join group exercise classes. Being part of a group is a great way to keep fitness at the forefront in your mind. You will see how you compare to others, and you can strike up friendships with people in your class. That is great, because they know what you're going through. Personal Training is an even better choice. 6. Keep a journal outlining your successes. This will help you feel accomplished, and keep you motivated when you don't feel so hot. 7. When you clean, be mindful to exercise. Vacuuming and other tasks can be excellent tasks for fitness, so look for more than one way to work out a bit as you clean. 8. Start doing sports with your family. From tossing a ball around to canoeing, you can find a lot of physical activities to do with your family, so that you get fit and they do too. 9. Get enough sleep. Sleep is a restorative time, and studies have shown that those who get less sleep weigh more. Make sure you get enough rest at night to stay fit. Being fit will make you feel better physically and mentally, and when you do that, you can handle your busy life that much better. Apply the tips in this article to your life, and you will notice that you not only look better, but feel better too.